Screen Lock: If iPhone requires a passcode before you can see the Home page, then the device is screen locked. iCloud Activation Lock: When you try to set up the iPhone, it says the iPhone is linked to an iCloud account. You need to enter the Apple ID and passcode. That means your iPhone is iCloud activation locked. Network Carrier Lock: If you can’t use any other SIM card in the iPhone, then it’s carrier locked. 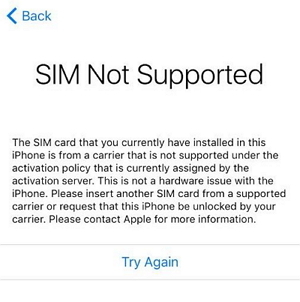 In general, when you put your SIM card, iPhone will says it’s not supported. All these types of locks can be unlocked if you know the right solution to apply. 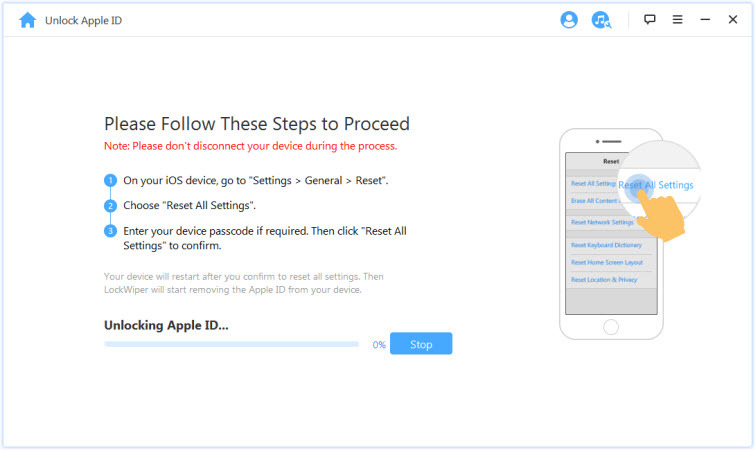 It’s impossible to recover an iPhone passcode without factory resetting the device. 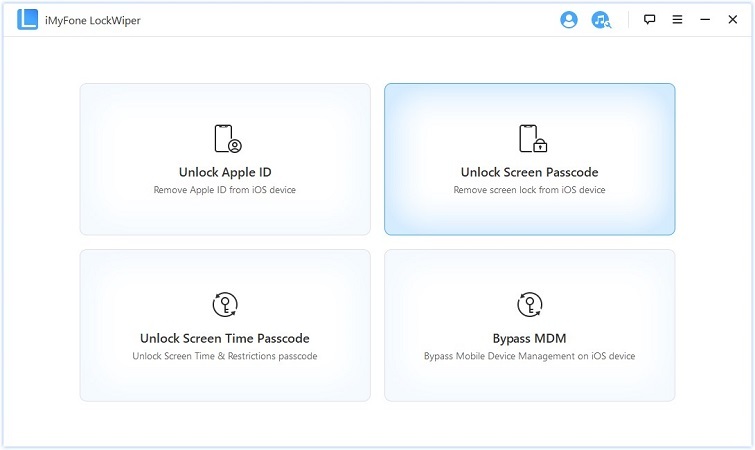 Therefore, the best option for everyone who lost his or her iPhone passcode is to use an efficient, cheap and fast iPhone unlocking tool known as iMyFone LockWiper. LockWiper can unlock any iPhone with a screen lock and remove the old iCloud and Apple ID within 5 minutes. Its cutting-edge features have made it the favorite iPhone unlocker for everyone who forgot his iPhone passcode. Its your best tool for unlocking any iPhone. Efficiently remove iPhone screen lock from any iPhone without any password. Help you get into iPhone when it’s disabled without connecting to iTunes. Unlock any iPhone with a broken screen, bugs or faulty keys. Compatible with the all models of iPhone and versions of iOS, including iPhone XR/XS and iOS 12. Step 1. Launch LockWiper on macOS or Windows computer, click the “Unlock Screen Lock” tab and connect the locked iPhone to the computer using Apple’s lightning cable. Step 2. Click “Start” and then “Next” to process. Your iPhone will be automatically detected. Click “Download” then. 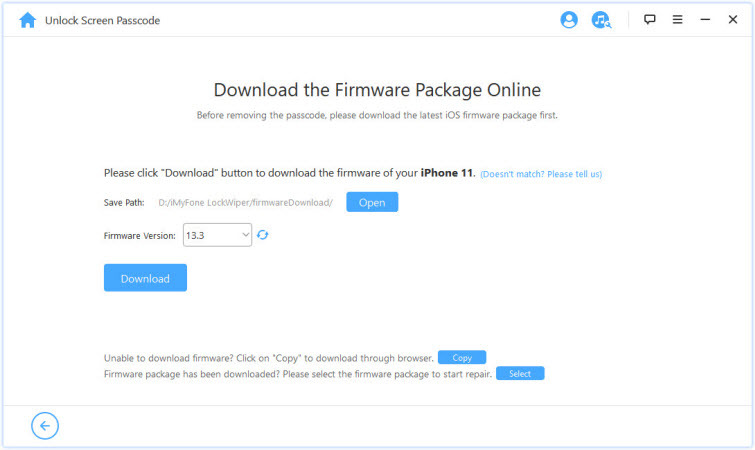 It will download a firmware package for your iPhone and verify it. Step 3: Then click “Start to Extract” to proceed. Step 4: When it’s done, click “Start Unlock”. Please enter “000000” into the box and click “Unlock” to confirm. Then you just need to wait for the process to complete. It will take a few minutes. No matter you just forgot the password for your iCloud account or just got a second-hand iPhone with iCloud locked, you can consider iMyFone LockWiper for help. LockWiper is specifically developed to unlock iPhone from iCloud account and Apple ID without password. If your iPhone is activated and you can access your iPhone settings, download LockWiper to try. It’s easy and fast to work. 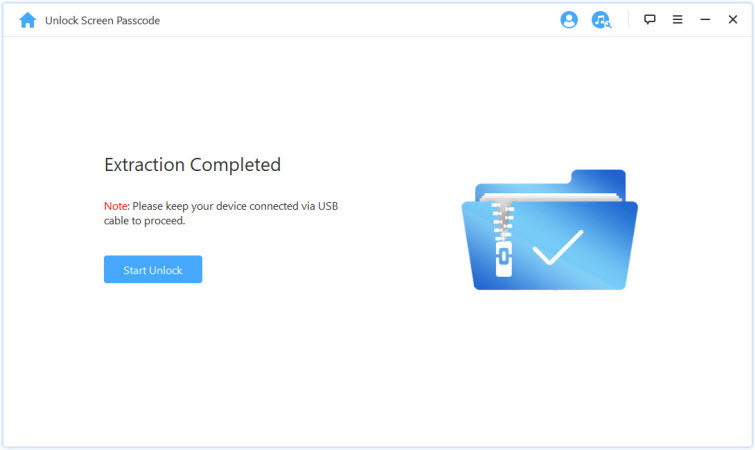 Step 1: Download, install and open iMyFone LockWiper on your computer. Choose “Unlock Apple ID” from the home interface. Step 2: Connect your iPhone and trust the connection. Then click “Start to Unlock”. Note: If your iPhone is stuck at iCloud activation lock screen, you won’t see the “Start to Unlock” button, but a message says “Your Device Is Not Supported”. Step 3: Follow the onscreen steps to reset all settings on your iPhone and get your iPhone restart. 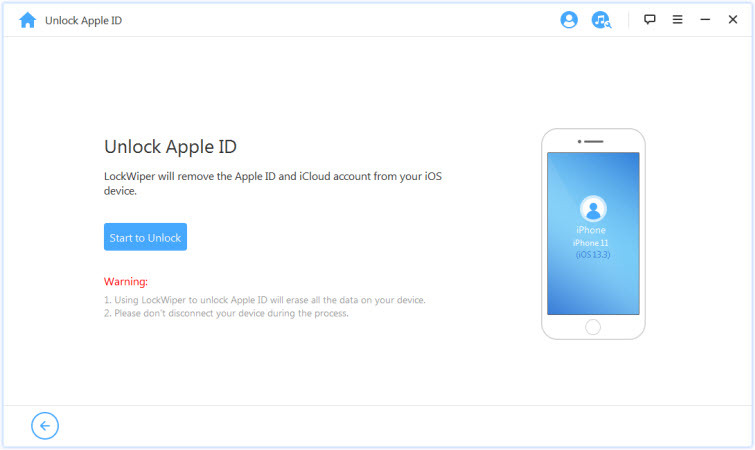 Then LockWiper will start removing the iCloud account. The whole process will take a few minutes. If your iPhone is restarting and LockWiper shows 0% on the process, no worries, just wait for it to finish. If the iPhone is linked to your iCloud account and you just forgot the password, you can try to recover the iCloud password. Step 1. Navigate to iforgot.apple.com in any web browser. Step 2. 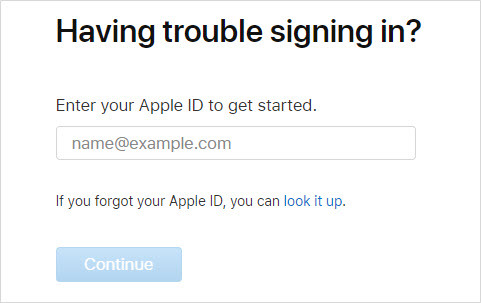 Enter your Apple ID email address, and click “Continue”. Step 3. 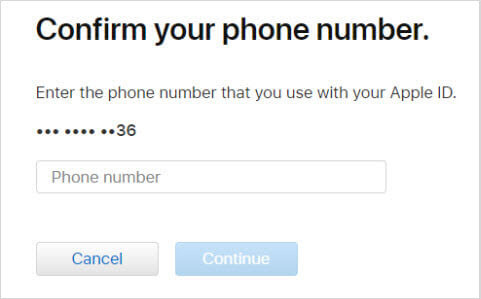 Enter the phone number that you use with your Apple ID and click “Continue”. Step 4. On your iPhone, you will receive a notification. Tap “Allow” or “Show” in the notification shown on your iPhone. Step 5. Follow the onscreen instructions to reset your password. If you’re not certain whether the iPhone you bought is carrier locked or unlocked, you can check to know through the Settings app or by ejecting the SIM card and putting another carrier’s card in the SIM port. If you can use the device to make calls after inserting the new SIM card, then the iPhone is unlocked, but if not, the iPhone is locked. iPhone that the previous owner bought from a network carrier and failed to complete the payment. iPhone that’s reported to the network carrier or security agents as lost or stolen. Step 1. Log on to www.iPhoneimei.net. Step 2. Select your version of iPhone. Step 3. Select your country and network. Step 4. Enter your iPhone IMEI number (dial *#06# to get it). Step 5. Click the “Unlock now!” tab. Step 6. Make the necessary payment and enter your email address. They will notify you when your iPhone is carrier unlocked. In general, it will take 3 days. 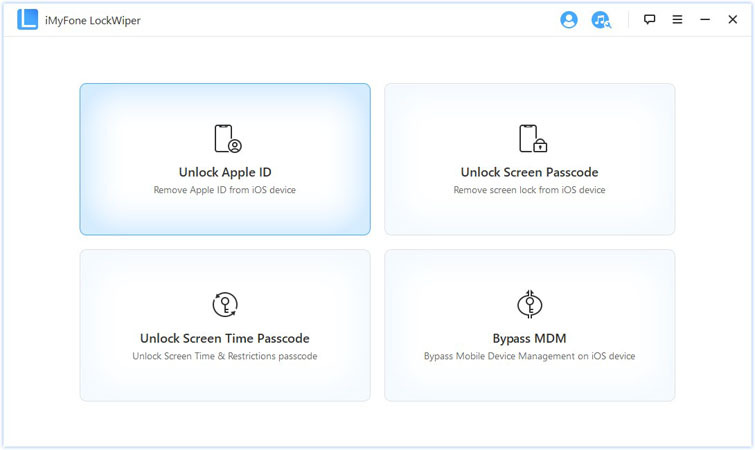 Please, don’t forget to unlock your iPhone with iMyFone LockWiper when you forgot Apple ID password or locked out of iPhone. 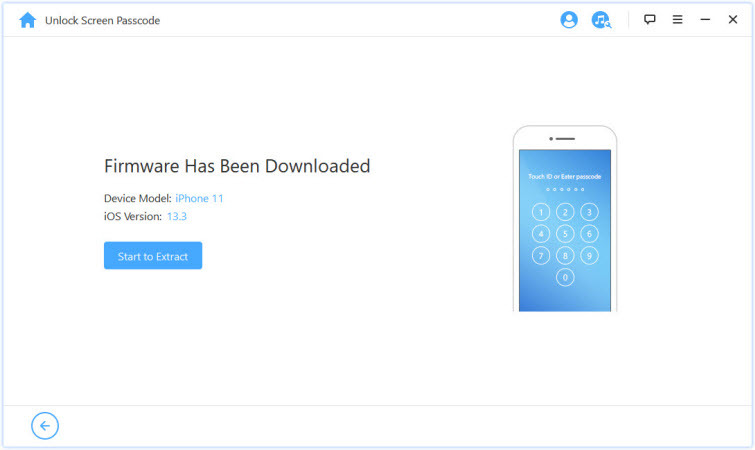 So, get a copy of this software to unlock your device.